Banquet tablecloth will go to the lap on the table or a 90x156 will drape to the floor. 13ft skirt will cover the front, two sides and a little in the back. To cover the table completely a 13ft skirt and an 8ft skirt will work with a little over lap. 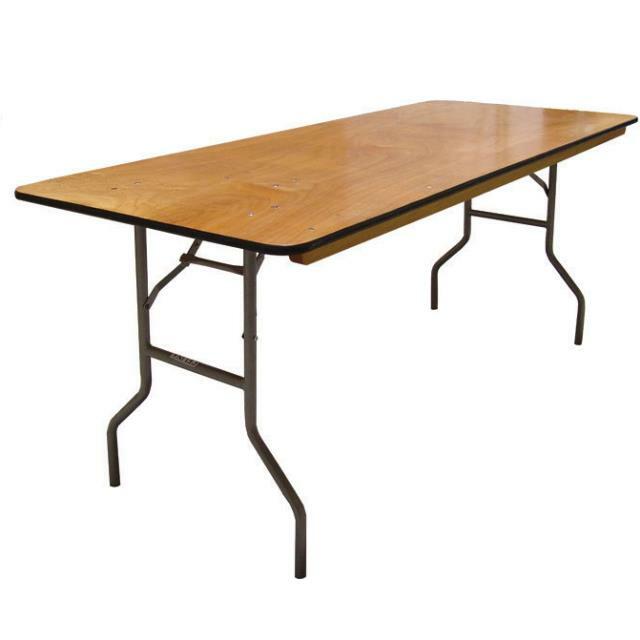 * Please call us for any questions on our table banquet 6 foot wood top rentals in Kalamazoo MI, and Southwestern Michigan.